This little piggy went to the market. This little piggy stayed home. 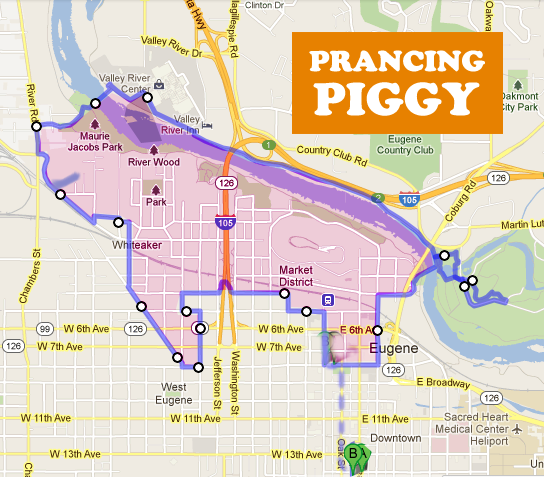 This little piggy went weeeeeeee as it pranced throughout Eugene! Let’s meet this Thursday, May 17th at Falling Sky Brewery at 7:45pm and ride the Prancing Pig. This is a 7 miler, so we will leave at 7:50pm to enjoy the beautiful sunset along the river!